The word “pre-professional” is thrown around a lot. I mean a lot. There are a huge range of schools in the U.S. that use the word in their advertisements – sometimes when it shouldn’t be. What does it really mean to be pre-professional? And what is a solid schedule for a pre-professional dancer? First let’s define this somewhat over-used word. 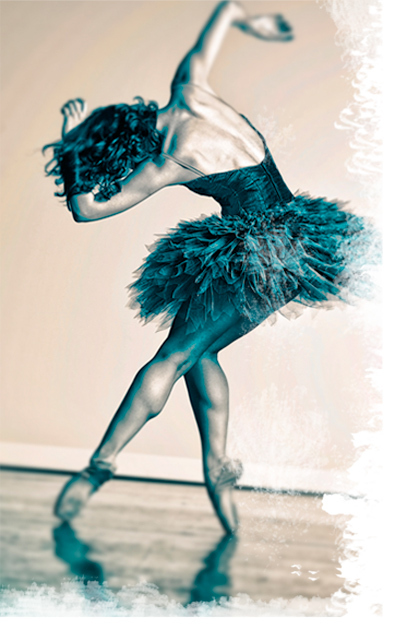 Pre-professional is used to describe dancers who are training specifically for a professional dance career. Pre-professional training programs are designed for dancers who show promise for professional careers. Admittance is typically by audition and these dancers are trained separately from those who train recreationally so that the classes can keep an accelerated or advanced pace. Pre-pro training is also sometimes called vocational training. So how many classes are enough? How much is too much? Friends, there are many paths to Rome. I am going to lay out for you an ideal progression with an eye towards the female dancer with an above-average natural facility, but there are exceptions to every rule. If you read this and find you are not where you should be, think about what you want to change – and then figure out how to get there! I started late myself by many standards and in a small town. First I had to catch up to those my age, and sometimes I had to piece together a good schedule from multiple schools. Very often it’s up to you to make it happen! It all begins with the first dance class (after finding a the right school of course!) There are varying philosophies on the age for starting ballet class. Personally I believe that the earliest age for ballet should be seven. In Russia, the national schools accept students for formal training at around ten. Whether starting at seven or ten, by the age of eleven pre-pro students may be taking daily ballet classes. Pilates, Gyrotonics, or another strength and conditioning program can begin at this age too. When I say daily ballet though… I don’t actually mean every day, I mean six days per week. No dancer should train seven days per week – the body requires a day of rest to rebuild and recover the muscles! By age 12, well-trained and naturally apt girls should be ready for weekly or bi-weekly pointe training. As a part of an advancing curriculum, character dance is a terrific add-on in this year for beginning to train in expression, acting and a bit of dance history in a different classical dance form. Hours should range between 9-12 per week. Also at this point, it is time to start auditioning for summer intensives. This will help students to get their faces further out in the dance world, network and explore other schools and potential companies. With the beginner year of pointe behind her, a dancer at thirteen is ready for more classes and more challenge! Pointe should be studied 2-3 times a week now, always split across the week as evenly as possible. (Guys will often start strength training for partnering at this point.) Also the addition of newer dance forms like modern, jazz and hip-hop are great. The body should be technically ready to build off a solid classical base, and adding non-classical forms of dance as early as possible after that foundation is prepared will ensure that you become a much more versatile dancer. (Some extremely traditional teachers believe these classes are at best a waste of time and at worst harmful to classical training. I disagree with that very much.) A typical schedule at this level would be 12-16 hours per week. By fourteen on this path, training can take 15-18 hours of classes per week. Girls should continue to work towards daily pointe classes by upping their schedule to 3 or 4 pointe classes per week. Increased mental maturity means that variations and repertoire classes can be added to the mix. These classes can be some of the most valuable for a dancer with her eye on a career in ballet. The choreography learned in variations and rep classes often follows a dancer for the rest of her career! At fifteen, it is time for daily pointe classes… and pas de deux! (Many European schools begin partnering in early character classes and some U.S. school begin as young as 13, but typical U.S. training and also culture makes 15 a better choice here.) Twice weekly is great for pas classes, but weekly is certainly fine. A dancer at this stage should be training for about 20-25 hours a week. In the last two years of training, cross-training might be introduced. (Think cardio and special exercises done during the dancer’s free time.) Training hours should increase to 24-30 per week. At the same time, performance opportunities should increase as technique becomes more established and artistry takes increasing focus. If you’ve been keeping track, our theoretical dancer now takes daily ballet class, daily pointe class, partnering, character, modern, jazz, hip-hop, variations or rep and a conditioning class – This translates to three to four classes per day, six days per week! And that’s not counting rehearsals (which don’t count towards technique training, in case you’re analyzing your own schedule), which would then be added on at the end of the day. I’m sure you can see why preparing for a professional career is considered such a serious commitment. Now you’ve got a full-cycle layout of a training load for a pre-professional dancer. Does it sound exciting and wonderful? Or exhausting? Not everyone knows from the start if they want to pursue dance as a career. We can’t all be like Susan Jaffe, who dreamed about being a dancer and was sure from that day on! But if you are considering it, it’s really valuable to know what pre-professional training is like. Not only can you take a look at how much your would-be future competition is training, you can analyze whether you are getting what you need yet… and whether you want it at all!